Commercial spaces demand both style and durability. Design is critical, but those designs must last through the heavy use and rigorous cleanings that commercial spaces require. Sunbrella® Contract fabrics are engineered to the specific challenges of commercial environments. We work with top partners in the business to bring beautiful, soft and durable contract textiles to busy commercial spaces. Featuring beautiful color palettes, sophisticated styles, and a luxurious touch, Sunbrella Contract fabrics elevate commercial spaces by blending upscale design and reliability. When you’re creating warm, inviting spaces in high-traffic commercial environments, choosing the perfect color and the right pattern are just half the equation. That’s because stunning design doesn’t simply look good – it performs, too. Sunbrella Contract fabrics combine the incredible durability and ultimate cleanability businesses need with the comforting softness and style customers demand. In today’s evolving health care settings, patient-centered design is of the utmost importance. Sunbrella Contract with Defiance® fabrics embrace this approach and deliver the next generation of design innovation for healthcare spaces. 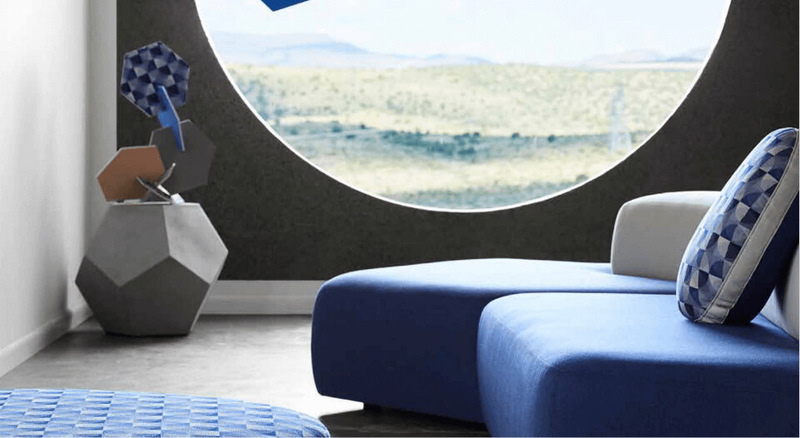 Sunbrella Contract fabrics with Defiance are engineered with antimicrobial treatments to withstand strict commercial environments, inhibiting the growth of bacterial, mold, fungus and mildew. At the same time feature soft textures and soothing designs that make patients feel at home. Defiance passed the American Association of Textile Chemists and Colorists (AATCC) 100 Antibacterial and 30 Antifungal Part 3 tests and the State of California’s Technical Bulletin No. 117, Section E (CS 191-53), Classification: Class 1 (Normal Flammability). To offer the best in commercial upholstery, we work with exceptional partners to create their own exclusive collections of Sunbrella Contract fabrics. 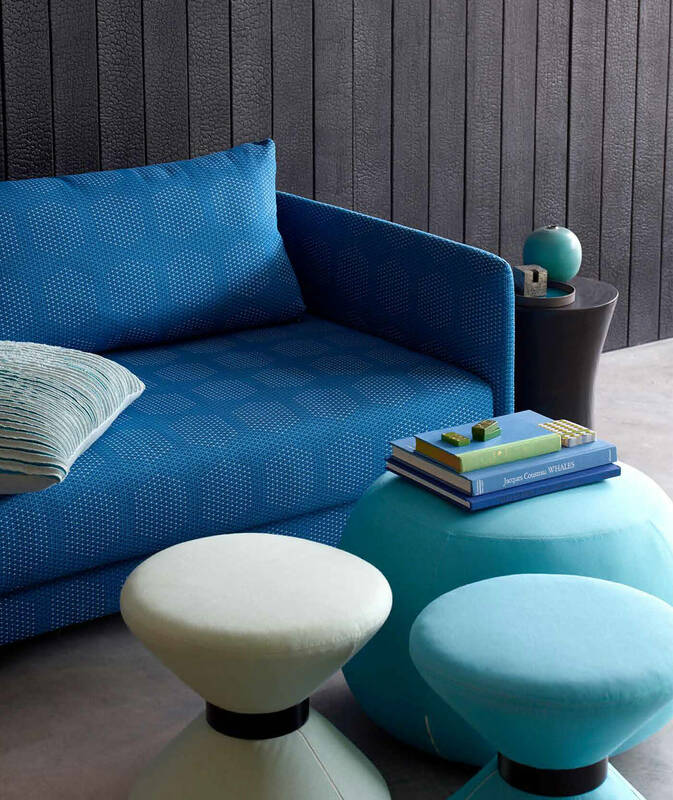 Sunbrella Contract Fabrics are available through Anzea Textiles, Arc-Com, Brentano, Burch Fabrics, CF Stinson, Carnegie, Concertex, Designtex, D.L. Couch, Eykon Design Resources, Fabricut Contract, HBF Textiles, Knoll Textiles, Kravet Contract, Maharam, Mayer Fabrics, Pallas Textiles, Pollack, Robert Allen Contract, Rodolph, Sina Pearson Textiles, Stacy Garcia Textiles, Standard Textile, TRI-KES, Weitzner and Wolf Gordon. At Sunbrella, our commitment to sustainability is a life-affirming principle. That's why we have been driven over the past 50 years to exceed industry benchmarks for environmental stewardship. 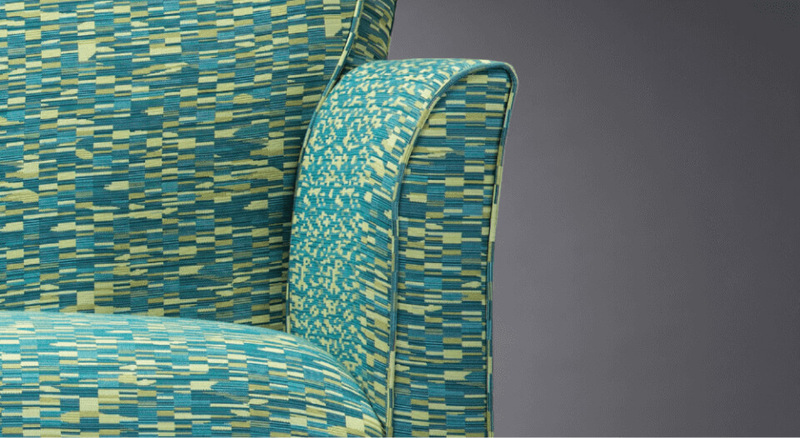 Sunbrella Contract fabrics are certified by the NSF/ANSI 336 Sustainability Assessment for Commercial Furnishings Fabric. NSF/ANSI 336 is a system used by the Association for Contract Textiles to evaluate upholstery fabric against extensive requirements within categories of: fiber sourcing, safety of materials, water conservation and water quality, energy, recycling practices, air quality in manufacturing and social accountability. ISO 9001 Quality Management and ISO 14001 Environmental. Management certifications demonstrate the long-term commitment that Sunbrella has made to provide exceptional products while recognizing environmental responsibilities. Most patterns in the Sunbrella Contract fabric line, including those fabrics with Defiance treatment, achieved a Silver Level in the NSF/ANSI 336-2011 third-party audit performed by UL Environment, making it the first company to offer such a broad range of compliant fabrics. UL Environment visited Glen Raven manufacturing operations and evaluated Sunbrella Contract fabrics, and they have certified that these products comply with the environmental and social-responsibility criteria of this holistic standard. From testing and compliance to product ingredients, Sunbrella is dedicated to clearly communicating the information you need to know with Health Product Declarations™. Visit our showroom to see HPDs for each of our Contract fabrics. 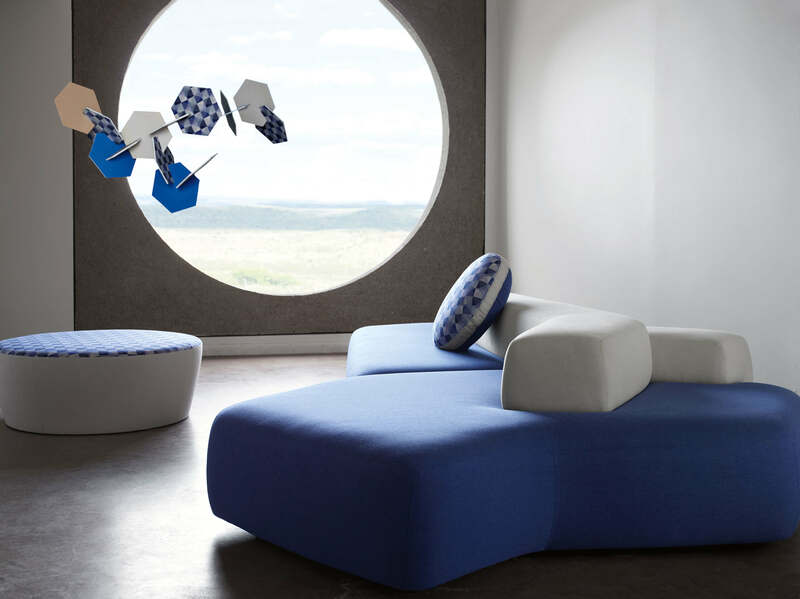 Like all Sunbrella fabrics, Sunbrella Contract fabrics are certified by the GREENGUARD Institute’s Children and Schools standard for contributing to healthy indoor air quality by being a low emitting interior product. Projects such as the installation of a 500-kilowatt solar panel system at our Norlina Plant and the upgrade of all lighting fixtures in three warehouses reduce annual CO2 emissions by over 1,000 tons. Today, all five of Glen Raven's domestic manufacturing centers are landfill free. By achieving landfill-free operations, more than 5.6 million pounds of various materials that would otherwise be sent to landfills are now recycled. Our unique coloring process eliminates the harmful chemical effluents of conventional dyeing processes. Through a revolutionary take-back program called "Recycle My Sunbrella", Sunbrella provides a unique way for customers and consumers to send their Sunbrella fabrics back to be recycled. Sunbrella Renaissance furniture fabrics combine up to 50% post-industrial recycled Sunbrella fiber with virgin Sunbrella fiber to ensure excellent performance with minimal waste. Learn more about how Sunbrella is leading the industry with a myriad of environmental initiatives.